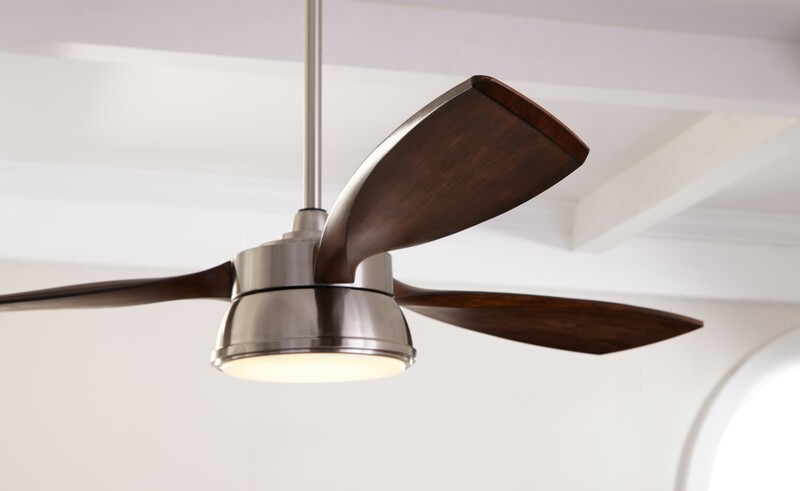 Ceiling fan has a 20W LED downlight with 1,060 net lumens for output. 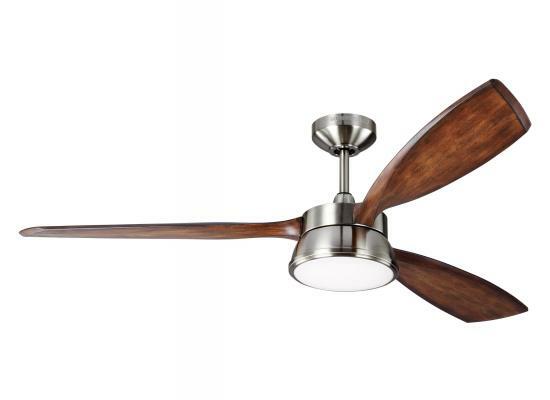 The blades are dual sided with a rich, Ontrend Koa finish on one side and a light, Driftwood Grey finish on the other, allowing for the ultimate in flexibility to complement a wide array of decor. The fan is damp rated, so in addition to being used inside, it can also be used in outdoor areas which are not exposed to rain like a covered patio, sunrooms or screen porch. Airflow is 5,803 CFM (cubic feet of air per minute). 231 CFM/WATT. Remote control included. Fan has Brushed Steel finish. Comes with 6" downrod. * Specially designed for patio and damp locations. * Ultra efficient energy saving 6 speed reversible motor. * Extra long 6.5 foot lead wire for use with long downrods. * Includes Hand Remote with reverse and downlight.